These add-ons are available for download directly from Google Play as part of a developer preview. The initial wave includes the likes of DocuSign, PandaDoc, Scanbot, and Zoho. 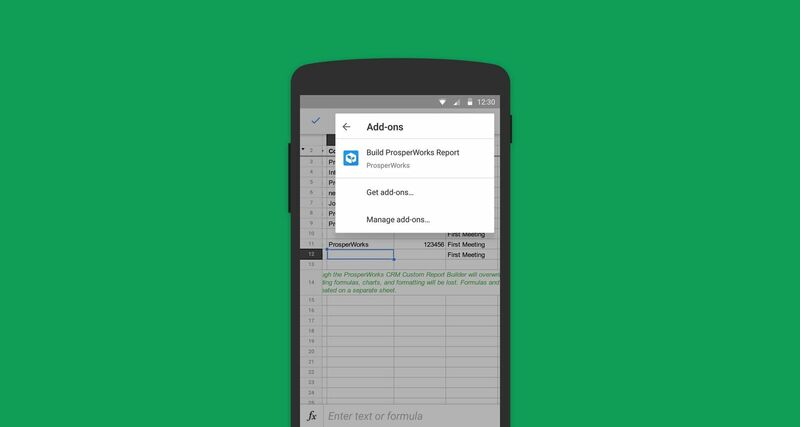 Through these extensions you're gaining the ability to sign documents and save them directly to Docs or import CRM data to create reports and graphs on Sheets. Google describes these add-ons as Android apps that connect with Google Apps Script projects on the server-side. Developers interested in creating add-ons can get more information via the first source link below.